The Process of Building represents ongoing thinkings into Anni Albers’ life and work. In one of her most iconic essays, On Weaving, Albers writes about the similarities in form and function between the woven grid structure and architectures. I am fascinated with the strength associated with the crossing of thread on a loom — how the grid structure of woven threads contains within it the potential to create a strong, functioning, object. 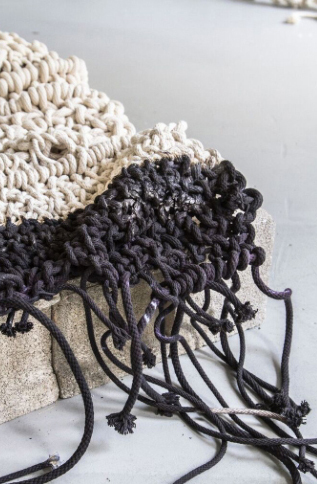 In this same line of thinking, The Process of Building combines stone and rope (foundations of architectural structures) as metaphor — questioning the perceived strength of one versus the other. 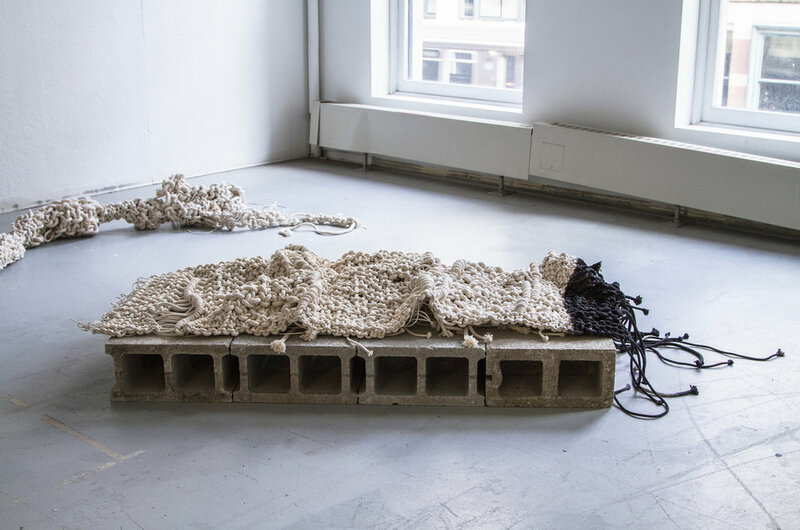 In this way, the installation furthers my interests in the hierarchical distinctions between materials soft and hard, structures both rigid and collapsed, and construction techniques gendered as masculine and feminine.